Here is my weeks post of #nailartweeklyproject, this week is a TV show or film. I was thinking of doing something that everyone knew like breaking bad but @danniannie already bet me to it. 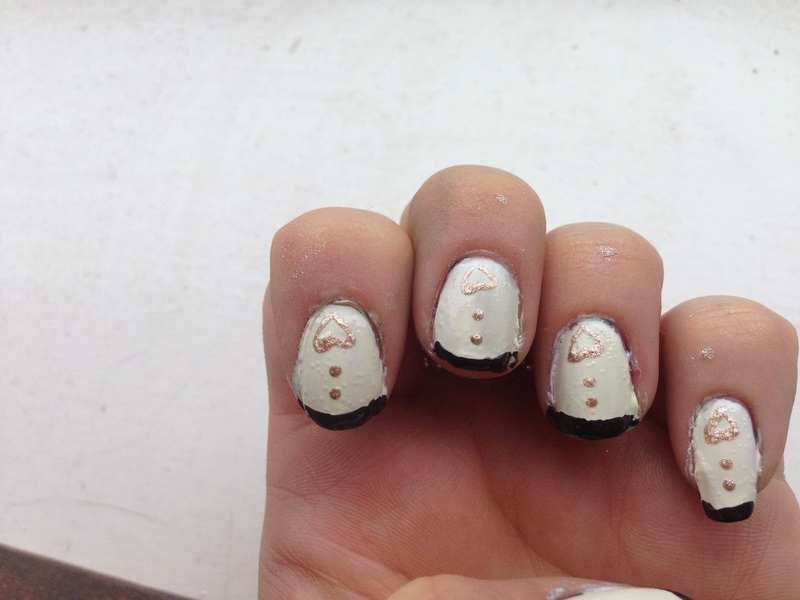 Last night, i started researching nail art ideas and i came up with this one. As we know from my previous post I'm no pro with nail art so it had to be something that was simple but still looked good. I am fan of simple art so then i can wear them for everyday at work and not just for special occasions. Yesterday i got some nail art pens from Primark £2, so i wanted to do some nail art that would allow me to try them out. I love nail art pens, i think they are a really useful tool for nail art as the nail varnish comes out of the needle at the end. I think this is handy because i have an art tool and i am always having to keep cleaning the end and reapplying, this can become a bit of a pain when doing patterns and designs. 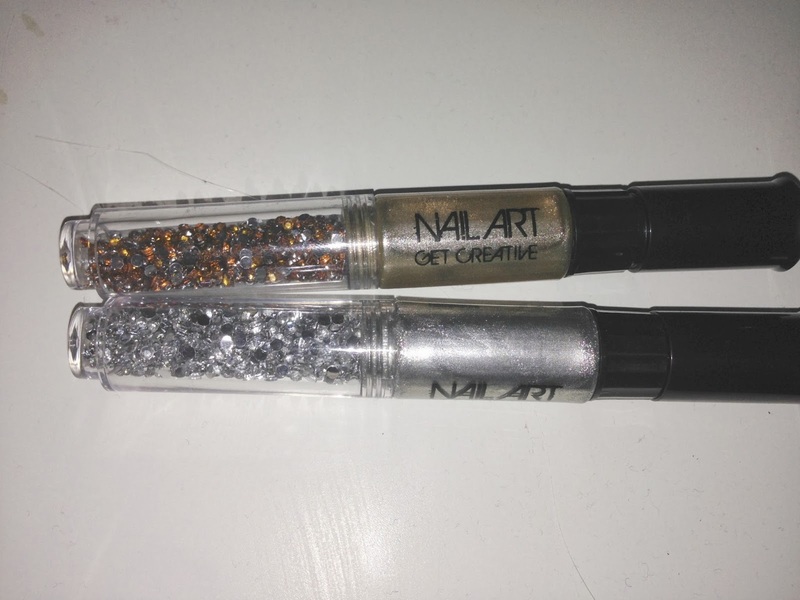 These nail art pens also come with glitter at the end which i think would be perfect for Christmas as who doesn't rock glitter at Christmas. They are really quick at applying which i think is super handy for nail art when you have to apply more than one coat. Overall, i would say that i am really chuffed with these, i might see if they have them in any more colours. 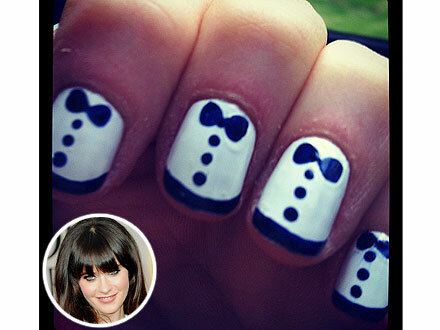 For my TV show or film nail art i decided to do New Girl, when i searching around Zoe Deschanel came up allot. So, i thought i would do a little twist on something which i have been wanting to try for a while. This is really simple to do, which is perfect for me. I only have short nails at the moment and i was worried it might look a little silly with the black at ends but i think it looks great. I think if i was to come a little further down my nail with the black this may have made my nails look shorter than what they are. 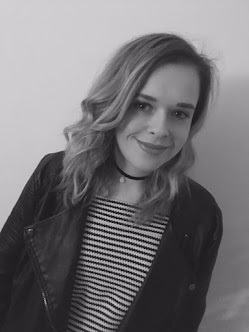 I like the monochrome pattern as i think it will go with most of clothes as i find black and white go with most things that i usually wear. Sorry, mine is a little messy in comparison but i do like the effect of this. I like how different it looks to the average coloured top with a base coat.